At its meeting on September 20, the Board of Directors of the Texas Thoroughbred HBPA selected William A. "Bill" Martin to fill the director vacancy left by the resignation of former longtime director and past president John O. Roark. Martin will serve for the remainder of Roark's term, which goes through December 31, 2008. 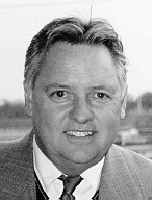 Martin, a native of Wichita Falls, Texas, has been involved in horse racing since 1979, when he formed Martin Racing Stables, LLC. Since that time, Martin has enjoyed breeding and selling Thoroughbreds, as well as racing them at most of the major racetracks around the United States. He has also served on the Texas Thoroughbred Association (TTA)'s Race Committee. Martin is the CEO/Chairman of Leadership Properties, Inc. of Dallas, Texas.